Skangass AS, 100% owned by Lyse AS, was established in 2007 with the aim of building and operating medium-sized low carbon emission energy plants. The company recently completed construction of a natural gas liquefaction plant at Risavika in Sola municipality that produces 300,000 tons of LNG per annum. The plant receives natural gas from a field in the North Sea via a 50 km high pressure pipeline from Kårstø that was built by Lyse. This plant has all the facilities necessary for every phase of the natural gas liquefaction process, including CO2 removal systems, a 30,000 m³ storage tank, a coil wound heat exchanger is used as main cryogenic heat exchanger, a Linde multi-refrigerant cascade process, and utilities for the generation of electricity and steam. 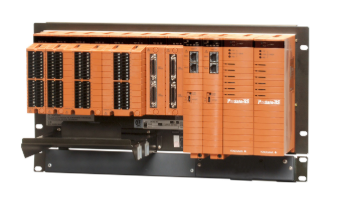 To ensure safe and efficient operations at this new plant, Yokogawa Europe successfully installed an integrated plant process control system consisting of a CENTUM VP distributed control system (DCS), FAST/TOOLS supervisory control and data acquisition system (SCADA), ProSafe-RS safety instrumented system (SIS), and Omegaland operator training simulator (OTS). The plant has been running smoothly since becoming fully operational in 2010. Skangass needed to avoid any delays in getting this new plant fully operational, and key to that was having all plant personnel fully trained right from the start of operations. For the first time ever, and in a team effort with Skangass, Yokogawa configured a full stimulation type operator training simulator for a gas liquefaction plant, employing the same safety and automation system (SAS) as the actual plant, with fully identical operational functions. This high fidelity model of the natural gas liquefaction process behaves exactly like the actual plant and allows plant upsets and equipment malfunctions to be simulated in a stimulative training environment. This makes it possible for operators at Skangass to undergo repeat training for a full range of situations. Key to maintaining safe operations is for the operators to know in real time what is happening throughout the plant. This has been made possible through the complete integration by Yokogawa of the plant's CENTUM VP DCS, FAST/TOOLS SCADA system, and ProSafe-RS SIS with other systems such as the tank gauging system. At their control stations, operators can easily call up and view trend chart, plant overview, alarm summary, and operation guide graphics, giving them the right information at the right time on processes throughout the plant. For example, operators can confirm on screen the status and operating sequence for the plant's two drier absorbers, which alternate on a 24 hour schedule, with one unit operating and the other regenerating. To guard against thermal shocks during startup or shutdown, they also are able to monitor temperatures in the coil-wound heat exchanger, whose operation is key to the natural gas liquefaction process and which has been carefully configured in the CENTUM VP system. 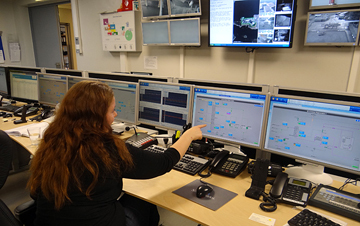 In real time, operators can monitor at their terminals remote terminal data that has been transferred via a general packet radio system link to the Yokogawa FAST/TOOLS SCADA system in the main office, contributing to the overall efficiency of the Skangass facility and ensuring increased safety and stable production. 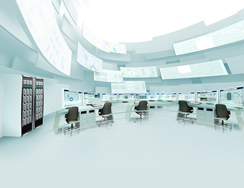 With this integrated system, a single operator per shift can control the entire plant from the central control room. Yokogawa GC1000 gas chromatographs sample the LNG components and transfer their readings to the CENTUM DCS. With this data, operators are able to adjust production specifications to meet the requirements of the company's LNG storage terminal customers throughout Scandinavia. 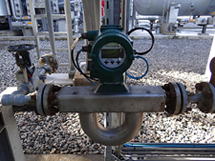 A Yokogawa ROTAMASS Coriolis mass flowmeter is used to measure flow in the lines that supply coolant to the plant's refrigeration facility. Operators have come to depend on its high accuracy and stability for determining whether sufficient coolant is being provided. 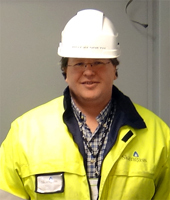 Roy Kenneth Skar, Operation Team Leader, said, "Yokogawa has strong experience in LNG processes, and their engineers understand our process. The project execution was done by engineers from Skangass and Yokogawa. The OTS really helped us to know the process. 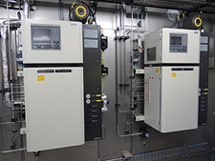 We are very satisfied with Yokogawa's systems for our liquefaction plant. Though our liquefaction rate is still a small portion of total gas supply from the North Sea gas field, we are expanding this LNG business continuously to meet market demand. A constant and steady operation and plant availability are mandatory to expand our business."